On July 23, 2016, two suicide bombers attacked protest rally organized by the Hazara community in Kabul, killing 88 people. This was the first of a series of attacks in the last two years, targeted against the Hazaras that shows no sign of abating. According to a local newspaper, since then 19 major attacks have been carried out targeting Hazaras’ mosques, cultural centers, educational institutions and religious gatherings which have killed a total 544 individuals and caused more than 1000 injuries. 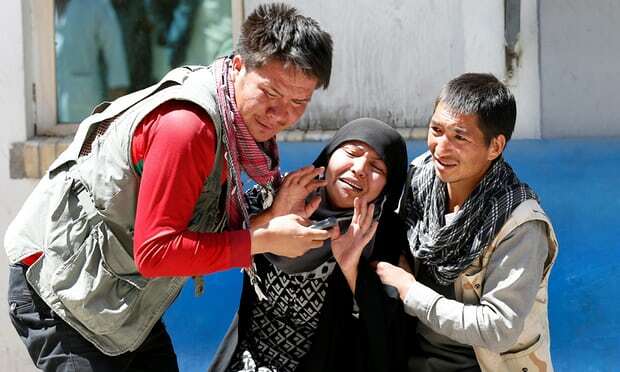 The most recent major attack on the Hazaras took place on 22nd April, in the west of Kabul, where people had gathered at a voter registration center, killing 69 and injuring more than 119 people. The ISIS Khurasan has claimed responsibility for the attack. One day later, on 23 April 2018, four Hazara passengers were abducted by the Taliban on their way from Herat to Ghor in the western provinces of Afghanistan. Such abductions and beheadings have become so frequent and commonplace that some even go unrecorded. For the last two years, such attacks have become a part of everyday lives of Hazaras, who are mostly Shia. 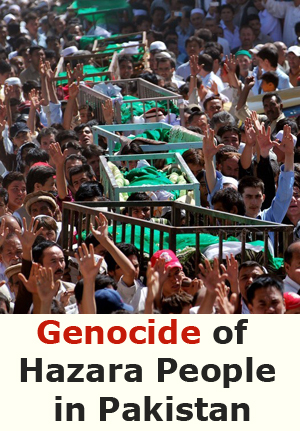 For a common Hazara person – lay or clergy- this is reminiscent of the martyrdom of Shiite imams. The accounts of martyrdom and persecution run strongly in this branch of Islam. All the twelve Shiite imams were killed during the Abbasid caliphate. A devout Shiite would believe they are getting killed because of their belief in Ahle-bait(prophet’s family). This association might have psychic effects on the victims to bear their pain of losing a family member. 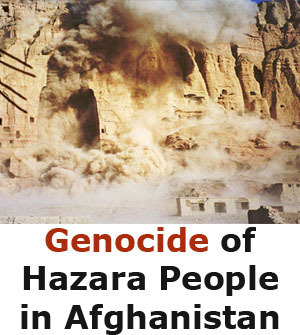 Nonetheless, for the majority of the Hazaras, it is not acceptable anymore. Especially for the younger generation, who do not necessarily share their parents’ commitment to religious figures, it is hard to endure these losses. However, the narrative of Hazaras’ agony is lost to the bigger and much-simplified discourse of Shiite-Sunni struggle for supremacy in the Islamic world. As attractive as it seems to label the Hazaras as pro-Iranians and deem their agonies as negligible, normal and even justifiable, such an argument is far from the truth. The Iranian government supports the Taliban, the arch-enemy of the Hazaras. Yet, branding Hazaras as pro-Iranian still continues, as an easy way of justifying, rationalizing and then ignoring their plight. 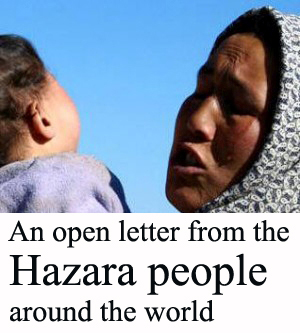 The Western media is negligent of ethnic identity of targeted Hazaras. 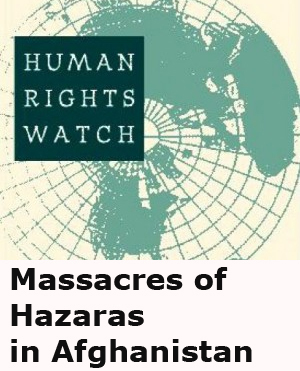 Most reports of mass killings of Hazaras are usually reported as ‘Afghans’ killed in attacks, without any specific reference to the ethnicity of the victims. Thus the ethnic and even racial nature of the attacks goes unseen. Using the generic term ‘Afghan’ hides the fact that a particular ethnicity is targeted routinely for the past three years. It ignores the fact that a particular community is under threat of mass killing and human rights abuse. It is cited that the Hazaras form 9 % to 25% of the population in Afghanistan. Their exact numbers which could be relatively large, are not available due to the absence of census in the country, which itself is intentional and political. 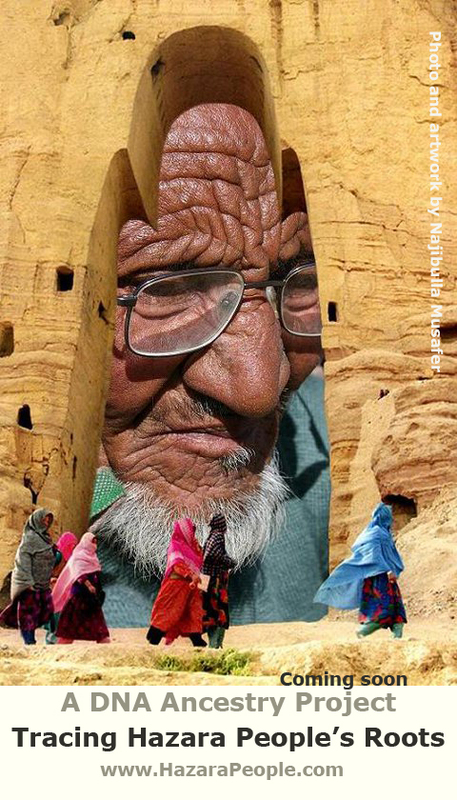 The odds of history have been against the Hazaras. They are nicknamed ‘the most persecuted community’ in the country for over a century and a half. Their Mongolian features and Shiite religious belief make them easy targets for the Taliban and ISIS Khurasan. Killing them is costless, voiceless – or to put it more accurately – they are the unheard victims. Killing them is not provocative at the national as well as international level. It does not provoke the Afghan government which is paralyzed by corruption, nepotism, and dis-functionality. Neither does it provoke the Western backers of the Afghan government, who see Hazaras as pro-Iranian, an idea that Hazaras themselves would consider self-destructing as explained before. The US, provoked enough to take hard action for children killed in Syria, does not do anything for the Hazara children killed in bombings, except for a little statement of condolence issued on its embassy’s Facebook page. According to NGOs, the government frequently assigned Hazara ANP officers to symbolic positions with little authority within the Ministry of Interior. NGOs also reported Hazara ANSF officers were more likely than non-Hazara officers to be posted to insecure areas of the country. During the elections, the Hazaras have participated in high numbers. This led president Ghani to choose his second vice president from the Hazara community. However, he does not hold any real power. His post is symbolic as he does not influence governmental policies or exercise any influence over military wing of the state. Thus despite their considerable population and enthusiastic participation in the democratic polity, their representation in the government is negligible. In the highly centralized presidential system in Afghanistan, no one has any real power except the president and the circle of his trustee. 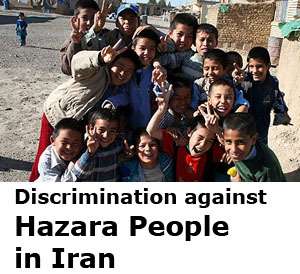 Societal discrimination against Shia Hazaras continued along class, race, and religious lines in the form of extortion of money through illegal taxation, forced recruitment and forced labor, physical abuse, and detention. Even to view the Afghan government as only indifferent to the plight of Hazaras is quite optimistic because many Hazaras believe that the government itself is actively complacent with the terrorist groups that target them. Being marginalized, discriminated and killed by the state for over a century and a half, the Hazaras are now highly suspicious of the government. It will not be surprising to see their lack of trust in the government getting replaced by feelings of enmity and revenge towards the government. It would be sad and tragic should the most vocal supporters of the Afghan state be forced to become its enemy. The current government and the people of Afghanistan cannot afford it.